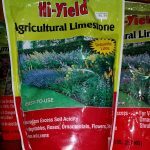 Can I use miracle grow potting soil when planting a forsythia bush? can I use potting soil when planting forsythia? Their is no need to amend the soil before planting forsythia. It is naturally vigorous without special care. Studies show that a planting hole with rich soil creates a type of barrier to roots trying to extend out to the unimproved soil. It is as if the roots are spoiled by the enrichment and refuse to go past it. If you wish, apply 2 inches of compost after planting. Do remove 1/3 of the branches to the ground every year after right after your forsythia blooms. Start with the oldest, largest branches. This method keeps young wood emerging. This young wood blooms more heavily than older wood and has more leaves. Do not prune forsythia in the fall as you will be cutting off next year's blooms; they form over summer. Start your pruning regimen next year.